Here are shown some copies of articles about LarEll or projects LarEll have been involved in. REVISTA REDES - no. 132 - Sept/Oct. 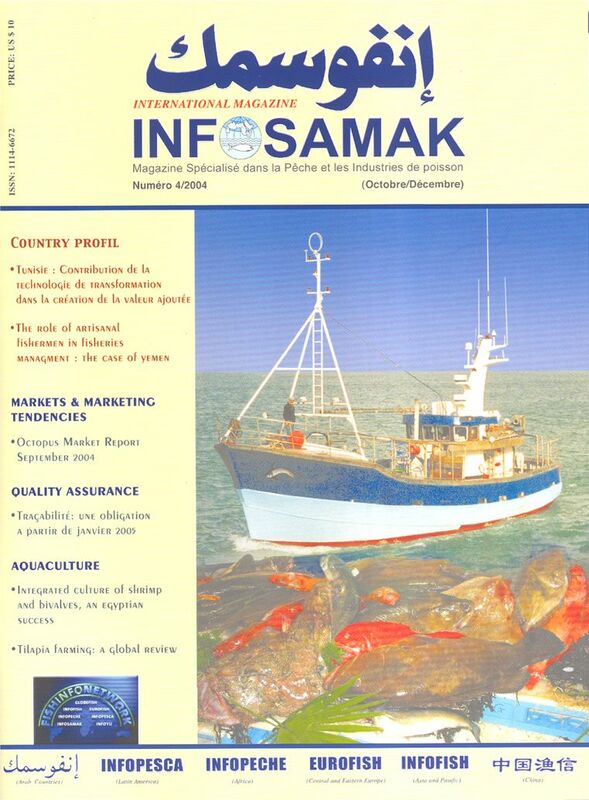 2003 "The fishing industry in the Baltics". INFOSAMAK - no. 4 - Oct/Dec. 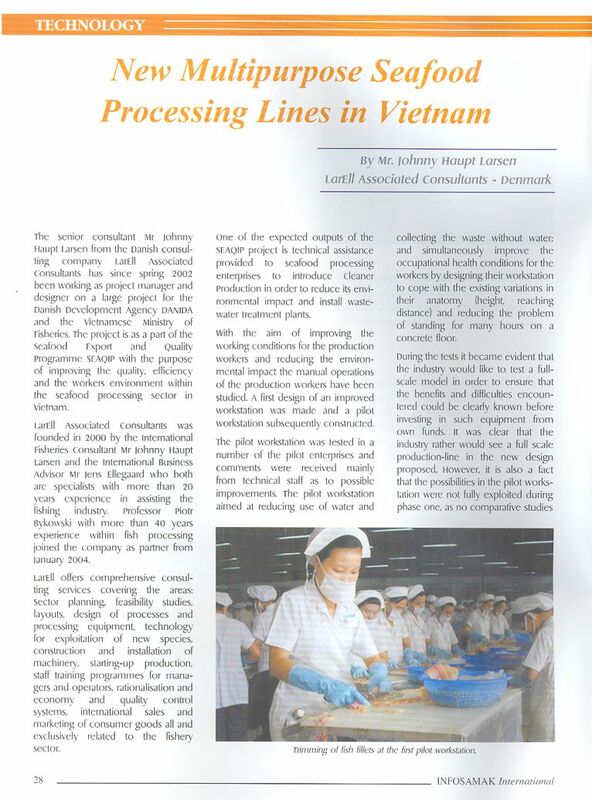 2004 "New Multipurpose Seafood Processing Lines in Vietnam"(pdf). INFOSAMAK - no. 1 - Jan/Mar. 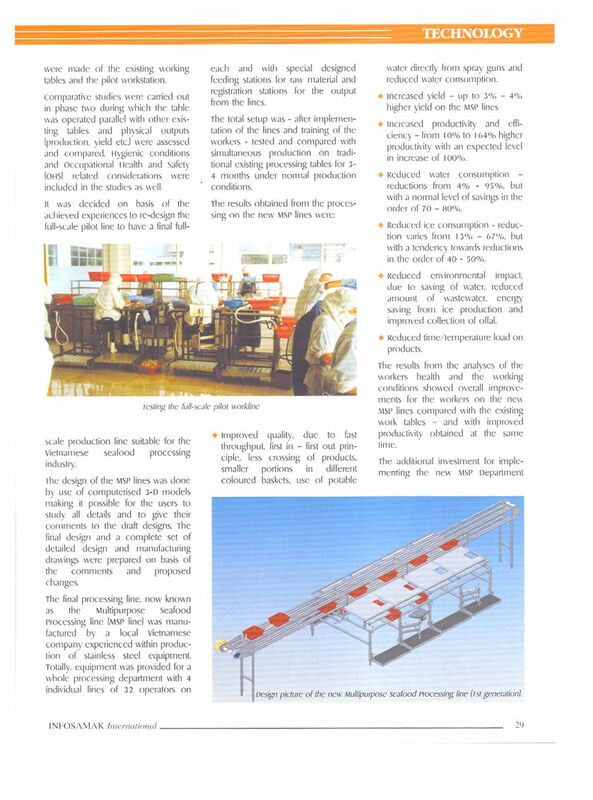 2005 "EU approved fish processing plant in Egypt" (pdf). INFOSAMAK - no. 4 - Oct/Dec. 2005 "Fish silage no. 1" (pdf). INFOSAMAK - no. 1 - Jan/Mar. 2006 "Fish silage no. 2" (pdf). INFOSAMAK - no. 2 - April/June. 2006 "Fish silage no. 3" (pdf). INFOSAMAK - no. 2 - April/June. 2006 "EU Directives on hygiene" (pdf). 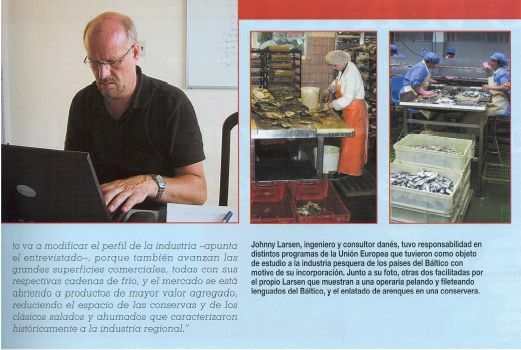 Article about the fishing industry in the Baltics in REVISTA REDES, an Argentine magazine for the fishing industry. 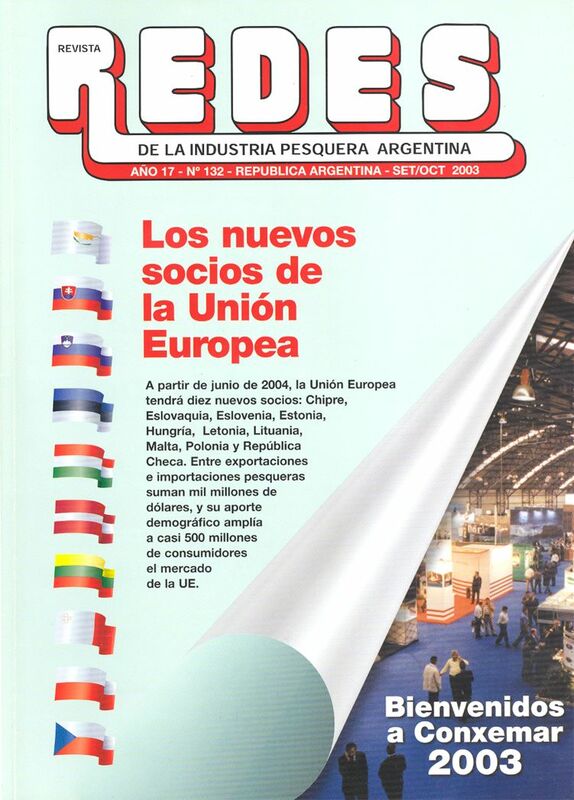 September/October 2003. 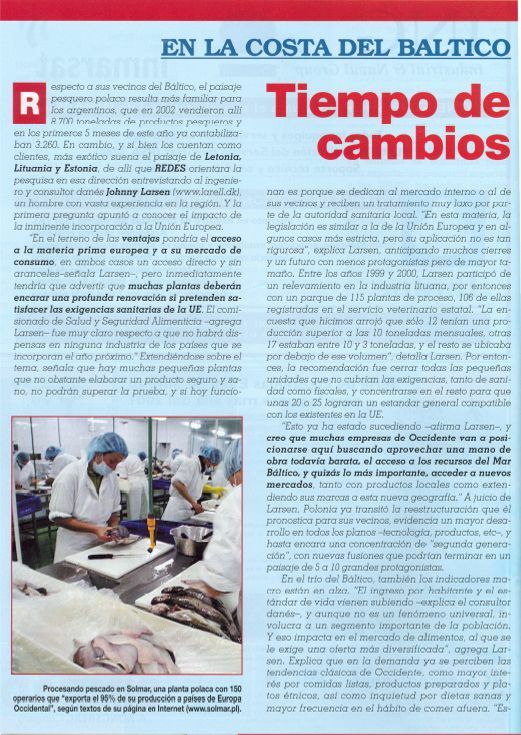 Article about new Multipurpose Seafood Processing lines in INFOSAMAK - 2004.